While most people would love not to spend a single day of their lives in a hospital, one 55-year-old man in China refused to leave the hospital for three whole years, despite being healthy! When a Beijing court finally ordered him to leave, he chained himself down to his bed in refusal. 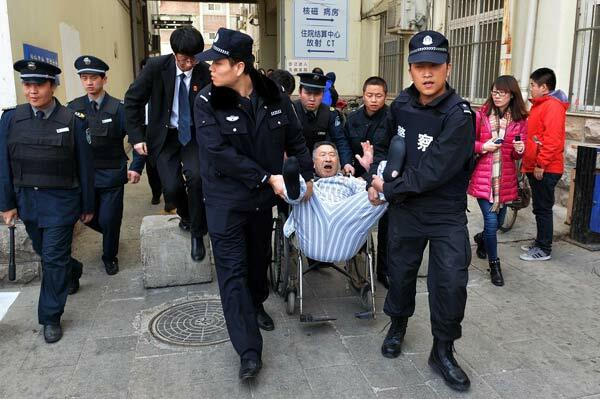 The police finally had to intervene; they cut the locks and hauled a struggling man out of the building. It all started in August 2011, when Mr. Chen was admitted to Beijing Jingmei Group Hospital to receive treatment for minor injuries he had sustained during an accident. He remained in the hospital for a month before going home, only to return a couple of months later complaining of leg pains.